Lock in a great price for Hotel Lake View Le Rivage – rated 8.3 by recent guests! Unfortunately, the day I visited the town closed due to it had Marathon. And the hotel was not informed anything to me before I go to hotel. So I face the problem because I have a car that can not parking around the hotel. I have to park far away at the public parking. My old family members have to walk and carry with big luggages. Moreover, I book 3 rooms for me & my family. For my room, I had to walk to another old building. The walking corridor was terrible, so dark, and my room was right behind the door with toilet signage. The room had smoking smell. Another room the television was not working. And staff can not solve the problem. But, just only 1 room was ok, large room, clean, all facility was ok. Right by the lake, next to the port. Windows almost sound proof enough to keep the sound from the sailboat masts out (it was very windy one night...). Not much happening here, but public transportation will take you to Lausanne in 25min. Remember to ask the receptionist for the free public transportation card! Beautiful location right next to Lutry port, where the lake boats make a stop, yet also convenient to Lausanne by bus, tram, or train. Very friendly and helpful receptionist. Convenient municipal parking only two blocks away. The hotel has a warm local / boutique feel. The view from our room was breathtaking - we could see the marina, the lake and it was comparatively quiet. The room was large and the bathroom was clean and modern. The location is great for travelers - center of Lutry (you can walk everywhere and it's 10 minutes to the train station), but not far away from the highway. The breakfast was "ok", but nothing to write home about. 5 minutes from the main beach at Lutry. You can have breakfast on their private patio, with great views of the lake. 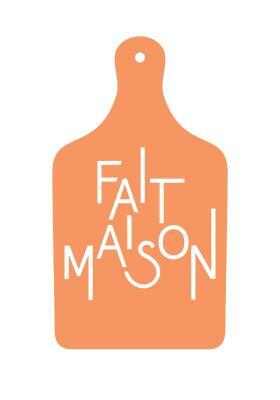 Staff is friendly and the breakfast was excellent. Town oozes charm. Inn has spectacular views, great beds, helpful staff,good bar and cafe. GREAT LOCATION, VIEW, STAFF, FACILITY, CLEAN, AND WELL FURNISHED. THE HOTEL IS CLOSE TO SEVERAL CAFES AND RESTAURANTS. i was born in lutry where the hotel is and was coming back to see how things had changed etc...the hotel is great and in the perfect location in town by the water....very clean and spacious room overlooking the water...staff was very helpful and accommodating. The balcony and view were picture-postcard perfect. The room was very attractive and comfortable, except for the bed. We enjoyed meals and reading on the balcony every day. The shower and bathroom were perfect--good water pressure, very modern and attractive. Location wonderful. Parking was fairly simple in a lot nearby. A little grocery store was also nearby and we bought food for breakfasts. Hotel Lake View Le Rivage This rating is a reflection of how the property compares to the industry standard when it comes to price, facilities and services available. It's based on a self-evaluation by the property. Use this rating to help choose your stay! Formerly known as the Hotel de Ville, the elegant Hotel Restaurant Le Rivage is located in the heart of Lutry, in a pedestrian area opening onto the old port. 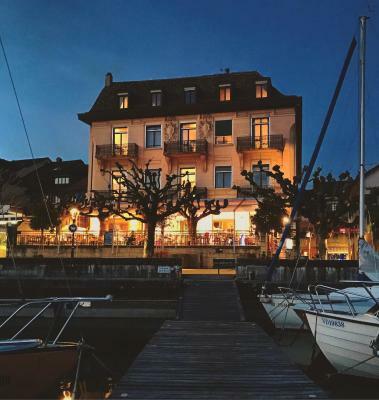 It is a 20-minute bus ride from Lausanne's center, and 10 minutes from Ouchy. The restaurant serves fine local cuisine, including fresh fish from the lake, as well as international dishes. Guests can also dine on the terrace. 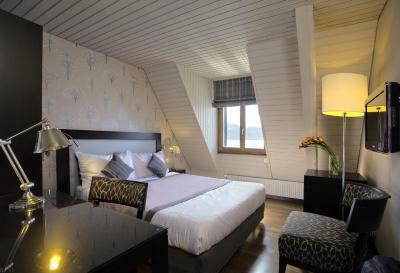 Most rooms at the Le Rivage Hotel have a view of Lake Geneva. The hotel is accessible by car for dropping off your luggage, and public parking facilities are available only a 1-minute walk away. Parking cards are available at the reception. 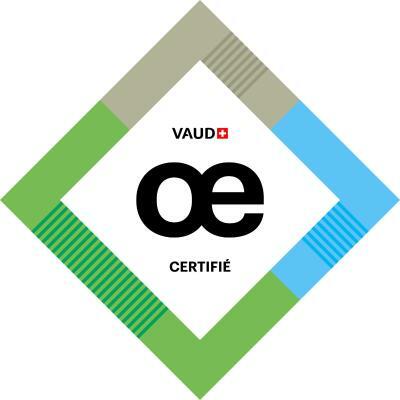 A public transport card for the region of Lausanne is offered free of charge upon request as well. Lutry is a great choice for travelers interested in food, tours and sunsets. When would you like to stay at Hotel Lake View Le Rivage? 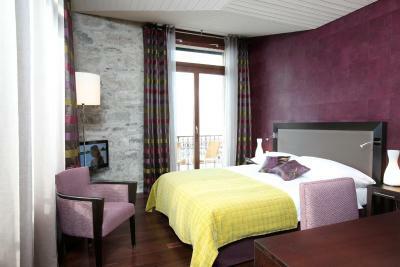 Spacious room with a small living area and a balcony with views of Lake Geneva, the port, and the mountains. Public parking is available at a location nearby (reservation is not needed) and costs CHF 16 per day. 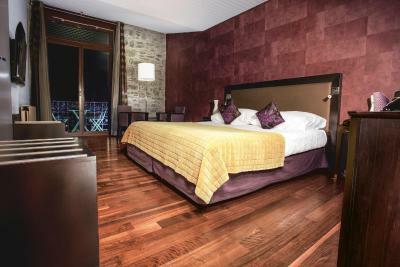 This spacious room features a balcony with views of Lake Geneva and the small port. This room offers views of Lake Geneva. Spacious and very quiet rooms with classic furnishings. 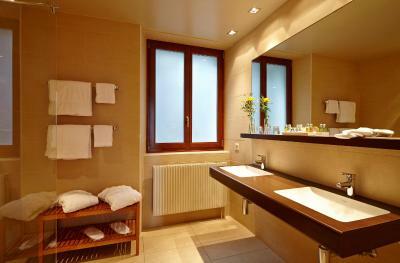 This big apartment offers a large flat-screen TV in each room, a seating area and a bathroom with shower and bath tub. The kitchenette is fitted with a stovetop, electric kettle and Nespresso Coffee Machine with free capsules. The sofa can serve as a bed for a child. From the big windows you can see the characteristic streets of Lutry a part of the lake. Hotel surroundings – This neighborhood is a great choice for travelers interested in food, tours and sunsets – Check location Excellent location – show map Guests loved walking around the neighborhood! House Rules Hotel Lake View Le Rivage takes special requests – add in the next step! Other Cash Hotel Lake View Le Rivage accepts these cards and reserves the right to temporarily hold an amount prior to arrival. Hotel Lake View Le Rivage accepts these cards and reserves the right to temporarily hold an amount prior to arrival. Overpriced. room and public areas not very clean. Apart from the Restaurant Manager in the evening, who was very polite and friendly, staff not very friendly or customer driven. No hello, no how was your stay, no welcome upon arrival. Female supervisor at breakfast did not even say good morning or gave anyone a smile. Sad. Breakfast offering limited for this price and category. Would not recommend. Good waterfront location. Spacious room. Very cosy room, excellent location with holiday flair, nice terrace and inside lounge real fire place. The hotel is a bit dated and could do with some refurbishment of the rooms. Very clean. Comfortable. Nice place. Breakfast was very poor for the price (17 CHF pp). The room was not that well equipped and a bit tired. Very dark and the minibar only had 1 bottle of water, not the two advertised. Great location by the lake and very nice bar/cafe area too. Staff very helpful all round. The price of the restaurant in the hotel were a bit too excessif. I loved the way how the staff treated the guests. It was very comfortable, the receptionist was very friendly, call guests very professionally, and take situation very seriously. Great staff, very friendly and authentic. Amazing walking along Lake Geneva from Lutry to Lausanne. Staff (the man in the night shift when we arrived) was very rude. Toilets smells very bad due to fact that we tried to change it. He changed our room after over reaction finally via facing bad behaviour. There were 5 down lights in the bathroom but no ocerhead lights in the bedroom, which made it difficult to see in the winter's dull light. The bed was not very comfortable. The pillows were too soft.